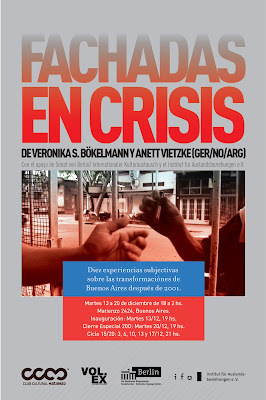 OPENING december 13th, 19hs. open from december 13th-20st 2011. 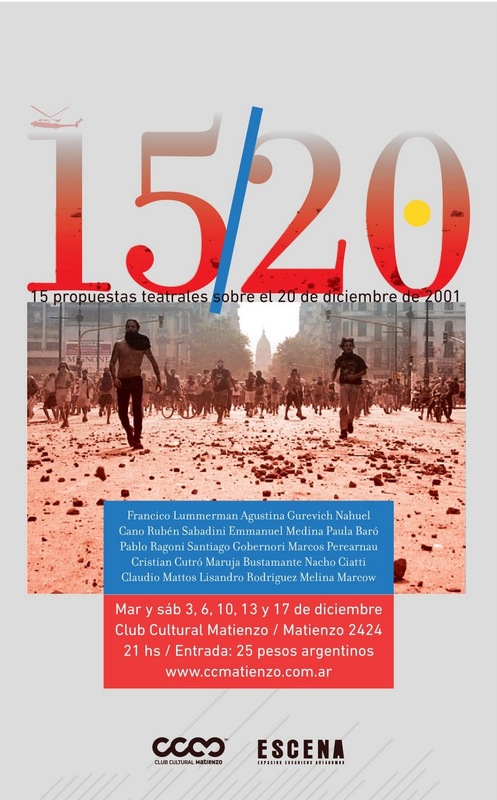 CLUB CULTURAL MATIENZO, Buenos Aires. multiple channel video/ space installation. Supported by Berliner Senat/ Internationaler Kulturaustausch. Institut für Auslandsbeziehungen e.V. Martes y sábados 3, 6, 10, 13 y 17 de diciembre a las 21 hs.